Register a colleague or associate by January 31, 2017 and get 20% off your participant rate. Both parties must register (submit the registration form and arrange payment) by January 31, 2017 for the buddy pass to be applicable. The issues and processes associated with formulating strategic and business plans and achieving strategic leadership. Certification based on assessment that contains a knowledge test. A core staff of qualified instructors. Many of the instructors will have attended a Training of Trainers Programme led by an International Finance Corporation Master Trainer. An advisory group consisting of both regional and international persons to guide the programme. The examination structure is based upon UK National Occupational Standards for Corporate Governance as our basis for us to accredit successful candidates. In order to ensure high participation rates, reduce costs for participants, increase flexibility in dates and increase flexibility in educational choice, the participants can choose when to do the different components and then decide when to be certified. 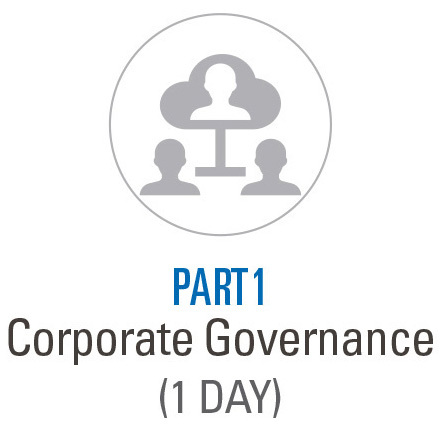 In addition professional executives with an interest in Corporate Governance may find the course to be relevant and useful e.g. media, judiciary, legal, accounting, finance and banking.